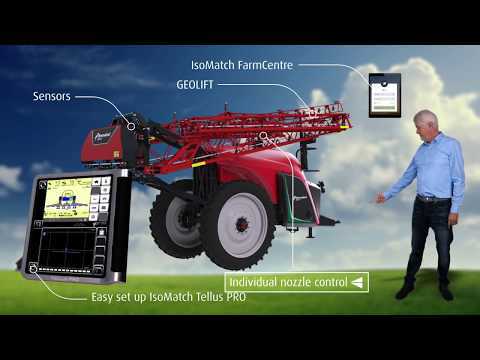 Kverneland is introducing the iXtrack T series, this new sprayers are precise, easy and effective. The iXtrack T series are developed with focus on a short, low and compact design in combination with intelligent electronics and ease of use. The iXtrack T series offer tank sizes of 2600 up to 4600 litres. Boom widths are available from 18 up to 40 metres, they fold away compact over the new tank design, keeping the boom away from the tractor cabin and the centre of gravity low during transport. The boom is available in HSA aluminum or HSS steel. The central beam guarantees easy headland turning, higher working speeds, safe transport and easy parking.